Bye-bye, Little People. Hello, Bakugan! It serves me right for giving in to pleas for McDonald’s one chilly night. I should have learned long ago that little good stems from the Golden Arches – especially when it comes to Happy Meal toys that they’ll forget in 10 minutes but remember as soon as you sneak the prize into the garbage. This particular trip, though, didn’t yield mismatched toys that led to a kid crying inconsolably. Instead, it led to a hideous thing that made mommy want to weep. Back you what? Yeah, that’s what I said. Allllll, right, then. And you know about this how? “We saw a movie in PE class,” he said, leaving me wondering how on Earth a movie about spherical warriors was relevant to ending the obesity epidemic. Maybe the kids were supposed to learn to roll themselves into balls as a new form of exercise. I guess it’s slightly more aerobic than television. As it turns out, Big Guy’s description wasn’t quite right. 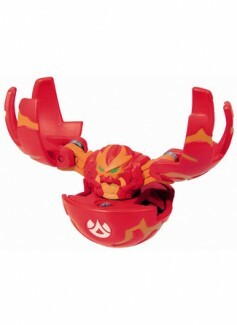 Bakugan originated from Japanese anime. Bakugan are not so much warriors as they are weapons, from what I can discern, though they’re fighting with the good guys. It’s a cartoon, it’s a video game, it’s a toy. And Monday when the kids at the bus stop flocked around a boy with two new Bakugan marbles, ooohing and ahhhing like they were the crown jewels, I knew this was a hot trend. A trend that fuddy-duddy mom was ignorant of, too. Bakugan? Weren’t we just clamoring for Little People last Christmas? What about the Build-A-Bears we were clothing, dressing and feeding as recently as July? Don’t get me wrong. I can hang with boy toys. Thomas has personality and characters. Racing and baseball I get. “Avatar” I didn’t get at first, but once Big Guy educated me I was on board. Not only does this mean that my boys are growing up and leaving me behind, but they’re abandoning stuff I understand, too. This wasn’t supposed to happen until they’re teens and I’m yelling, “Turn that crap down” as indecipherable lyrics blared from their rooms.